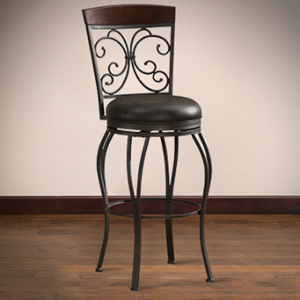 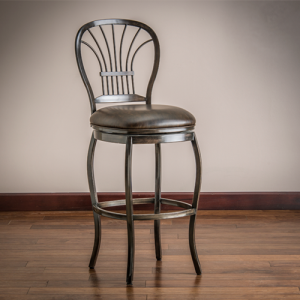 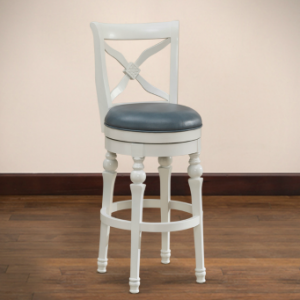 Sleek styling and indulgent relaxation have been fashioned into American Heritage’s Shae Bar Stool. 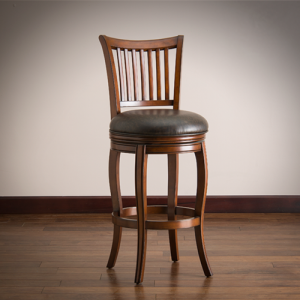 Constructed by means of super-strong Mortise & Tenon principles, the Shae flaunts Black, Navajo, or Glacier stained wood. 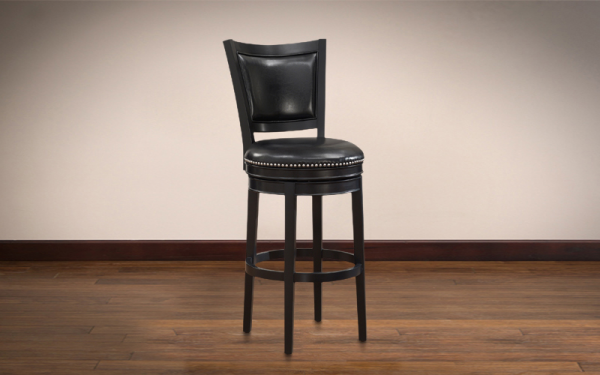 Black, Tobacco, or Graphite bonded leather comprises both the 3″ thick seat cushion as well as the tapered back rest. 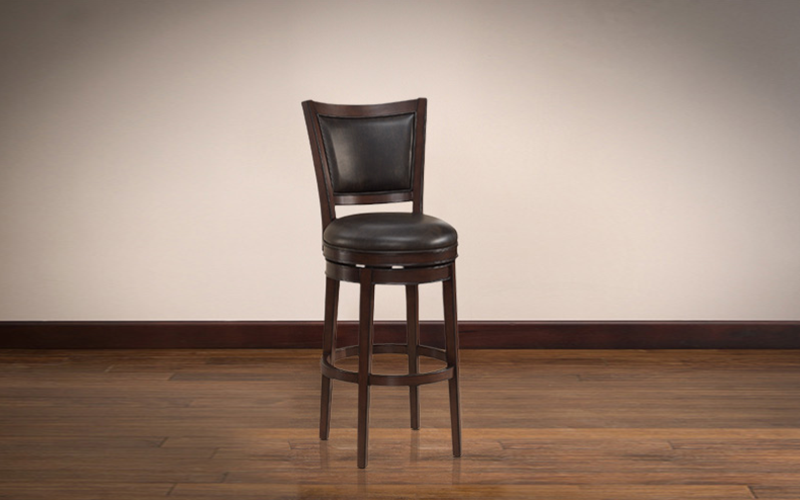 42.25″ H x 20″ W x 22″ D – 27 lbs. 46.25″ H x 20″ W x 22″ D – 29 lbs.